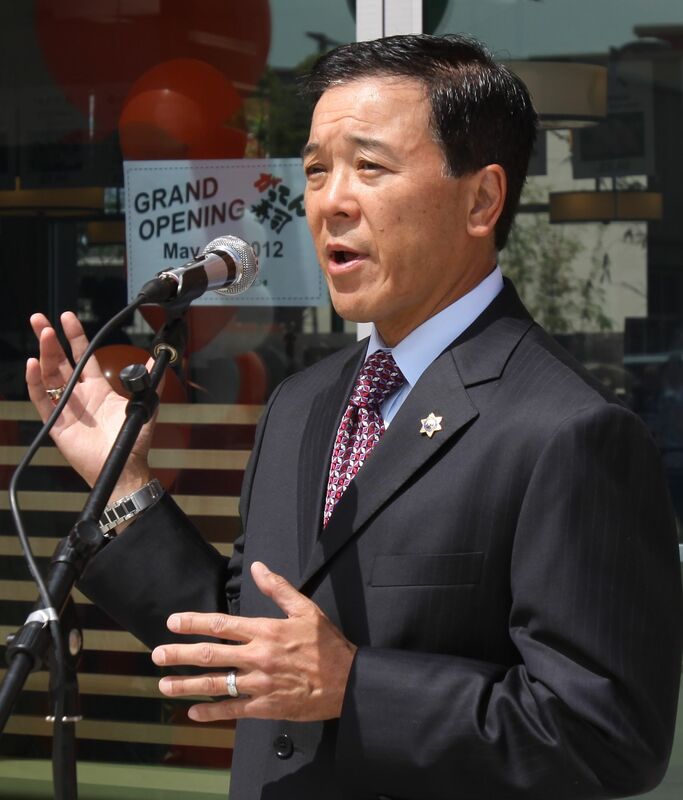 Some of former Undersheriff Paul Tanaka’s rivals in the race for Los Angeles County sheriff are publicly calling on him to withdraw his candidacy in the wake of testimony he gave at a deputy’s trial this week. Deputy James Sexton is one of seven sheriff’s officers accused of obstructing a federal investigation of alleged abuse of inmates in the county jail by hiding an inmate, Anthony Brown, who was an FBI informant. Sexton said he was following orders from his superiors. Under cross-examination, Tanaka acknowledged that he is the subject of a federal investigation but maintained that the order to hide Brown from federal agents came from then-Sheriff Lee Baca, and that it was necessary to isolate the inmate while his claims of being an informant were investigated. Tanaka also testified that he believed the orders to be lawful and that he “didn’t see anything inappropriate” about Brown’s treatment. Candidate Bob Olmsted, a retired sheriff’s commander, issued a formal letter and announced an online petition on Tuesday urging Tanaka to step down. “It was Paul Tanaka who ignored my calls to put an end to the abuse and excessive force in Men’s Central Jail. By disregarding my warnings, he effectively sanctioned this wrongdoing and became part of the institutionalized problem identified by the Citizens’ Commission of Jail Violence. Candidate Todd Rogers, an assistant sheriff, said in a video posted on Facebook, “When you look at every scandal that we’re dealing with at the Los Angeles County Sheriff’s Department, Lee Baca owns those because he was the leader of the organization, but he clearly trusted the wrong people. And it’s disgusting to me that we have one of those people running for sheriff, Paul Tanaka. With Election Day fast approaching, Tanaka has no intention of dropping out. His campaign consultant, Reed Galen, said in a statement Tuesday, “Paul Tanaka is a 33-year veteran of the Los Angeles County Sheriff’s Department and served with distinction his entire career. He has a positive vision of leadership and accountability for the LASD and is the only candidate ready to lead on Day One. 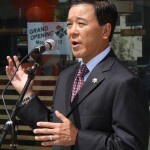 Tanaka, who said his campaign is going “very, very well,” continues to announce endorsements, most recently from San Gabriel City Councilmember Mario De La Torre, the L.A. County Federation of Republican Women Executive Committee, former State Sen. Tony Strickland, Calabasas City Councilmember Mary Sue Maurer, San Marino Vice Mayor Eugene Sun, Redondo Beach City Councilmember Stephen Sammarco, and former Alhambra Unified School District Board President Sophie C. Wong.